Rob joins FRA as the firm’s latest Director in the Forensic Accounting team based in FRA’s London office. Rob has over 20 years’ experience of fraud, bribery and corruption and financial crime investigations. In his role he has worked in law enforcement, regulation, private practice and in-house investigative teams and has led many high profile and sensitive multi-jurisdictional investigations. He helps clients investigate, remediate and report incidents of fraud, bribery and financial crime. 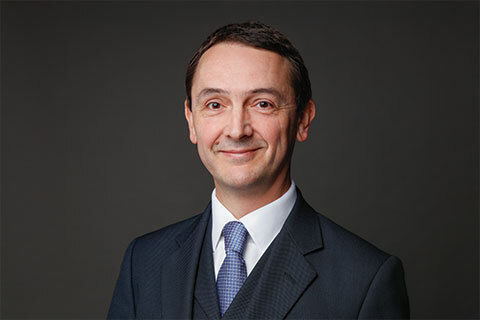 Prior to joining FRA, Rob was Director of Forensic Accounting at Exiger, Head of Bribery and Corruption Investigations for GlaxoSmithKline (GSK) and served as a Principal Investigator in the UK’s Serious Fraud Office (SFO). Rob said “It’s always good to work with people you like and respect. I’ve known some of the senior leadership of FRA for many years. The opportunity to learn from their deep skills and knowledge and have a fun time doing so was too good to miss. I’m also drawn to technical accounting, fraud and economic crime investigations. FRA’s growing business, outstanding younger team members and the fact they are involved in many of the world’s largest investigations was a significant factor in my decision. I am really looking forward to working with clients to help them deal with fraud, bribery and money laundering matters. Having worked in practice, in-house and for regulators and law enforcement, including working with the new Director of the SFO, Lisa Osofsky, I understand the varying requirements and pressures on each party when a crisis occurs. I hope to use this expertise to help solve complex problems in an efficient way. Want to receive updates from FRA? © 2019 The FRA group in the UK comprises Forensic Risk Alliance Limited (number 3895636) and FRA Solutions Limited (5863958). Both are limited companies registered in England & Wales, and have their registered office at 3rd Floor, Audrey House, 16-20 Ely Place, London EC1N 6SN. The term partner is used to denote senior employees of the limited companies. All rights reserved.